Select 'Export as .csv' (6). 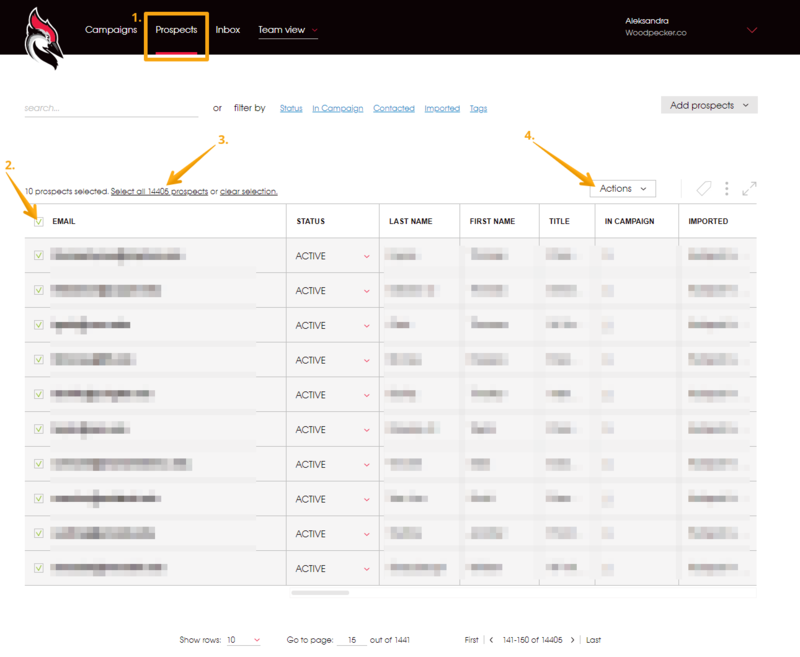 After you check-mark some prospects, 'Actions' tab will appear above the column. Select 'Export as .csv' (5). Q: Can I export prospects who OPENED/CLICKED/REPLIED... in my campaign? A: Sure! Open your campaign, go to 'Prospects' and select data that is interesting to you. Then check-mark your prospects and export them. Q: Can I export prospects with a particular status? Go to your campaign → Click ' Status' → select one of the statuses → check-mark your prospects -> export. Go to ' Prospects' → Click 'Status' → select 'Active', for example → check-mark your prospects -> export.